Every quarter Stamp Paints and our community pick one cause or organization to highlight and support. On June 15 we are sponsoring a citizen science educational cruise on the Sam Patch boat. Attendees of all ages will use scientific instruments to collect and analyze water quality, observe and identify living things in the canal ecosystem, and contribute data to the Finger Lakes Institute. Stamp Paints clients have access to twenty seats on this cruise. Email StampPaints@gmail.com to reserve free seats for your whole family! Corn Hill Navigation is the nonprofit organization that operates Sam Patch. They connect the community and visitors to Rochester’s historic waterways through authentic, guided boat experiences and educational programs. Thanks to generous donors, they provide low or no cost field trips for thousands of local children. 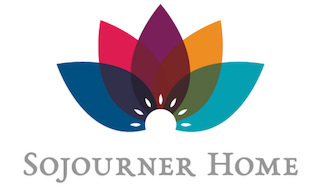 In March we will be volunteering alongside Paint by Number Moms and other colleagues in the home improvement field to update and refresh the halls and rooms at Sojourner Home: The House of Strength. Sojourner Home provides shelter, structure, strength, and inspiration to women, their families, and others in need so they are prepared to lead responsible and meaningful lives. In addition to housing, Sojourner provides homeless women and children with self-sufficiency skills and education programs, including after school tutoring and performing arts classes for kids. Their goal is to help families transition into permanent housing and give them the tools they need to succeed so they never become homeless again. For our fourth quarter of the year, we ran a contest to see where our current and future clients would like us to focus our year-end philanthropy. Cracker Box Palace won the donation and we brought exposure to Teen Empowerment, Landmark Society, and Willow Domestic Violence Center. We also collected many great suggestions from over fifty people for organizations we can support in the future. We encourage you to read our Season of Giving blog post to learn more about each organization. Cracker Box Palace is a no kill haven on Alasa Farms. They have an all-volunteer rescue team. Animals come to recover from illness, neglect, or abuse. The majority of animals served are farm animals, but they also offer classes to educate the public on humane treatment for animals of all kinds. Our donation will be directed to youth programming. With the help of our community, we raised almost $2,000 for RocIDEA Connection. 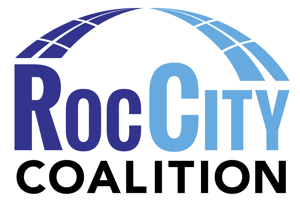 RocCity Coalition and RYP are partnering on this effort to empower current and future leaders with strategies to create collective impact. They will offer trainings, workshops, and conversations that focus on inclusion, diversity, equity, and – most importantly – action. These events will leverage Rochester organizations already engaged in the fight to reduce poverty, combat discrimination, and provide opportunity for all. Our fundraising efforts will sponsor ASL interpretation needs for 2019. We also sponsored a workshop on Intersectional Feminism by 540WMain Communiversity and Citizen Action. Almost 60 people joined us as we deepened our understanding of how women's overlapping identities impact the way they experience oppression and discrimination. If you are still hoping to donate to these efforts click here. What could be better than a hike and some hops? We sponsored a hike for anyone looking to reconnect with nature. We explored Turning Point Park in Charlotte and then sampled the Ruby Red Kolsch and other craft beers at the Genesee Brew House. Genesee Land Trust preserves and protects natural lands and waterways that enhance the quality of life in the Greater Rochester region – providing wildlife habitat, locally grown food, and connections to nature – for everyone. We hosted a party and created a few dozen original artworks to add to the thousands of local, national, and international pieces included in the 2018 6x6 exhibit at Rochester Contemporary Art Center. The pieces in this exhibit are sold for $20 each and collectively this effort raises over $55,000. RoCo is a venue for the exchange of ideas and a not-for-profit that was founded in 1977. As a center for thoughtful contemporary art, RoCo provides unique encounters for audiences and extraordinary opportunities for artists. Do you know a great cause we can highlight next? Let us know.